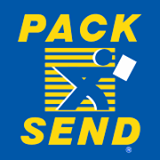 Pack & Send Sheldon Birmingham – With 10 years of experience in the General Courier Services craft, Pack and Send provides Packing and Freight Services to customers throughout the local area. Founded in 1989, the business is situated in Sheldon (Birmingham). The firm delivers a variety of packing and shipping solutions to businesses, which are designed to be cost effective at all times. With a fully fitted workshop, the business also has experienced staff allowing clients to save time and money. The company is managed by David Taylor who has been involved in the General Courier Services industry for many years. David Taylor is well trained to look after the company, having previously worked within the Legal Services. Pack and Send has a steady network of clients, situated throughout the UK, including all major auction houses within the Birmingham area.